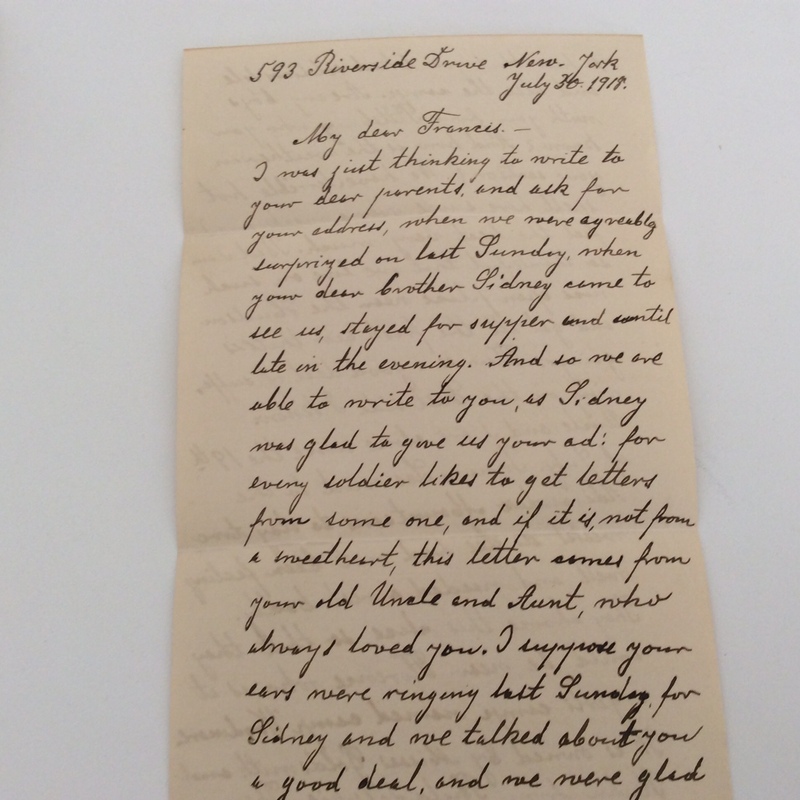 There were also some letters written to Frank, as he was known after the war. In this post I will share the letters written to Frank. 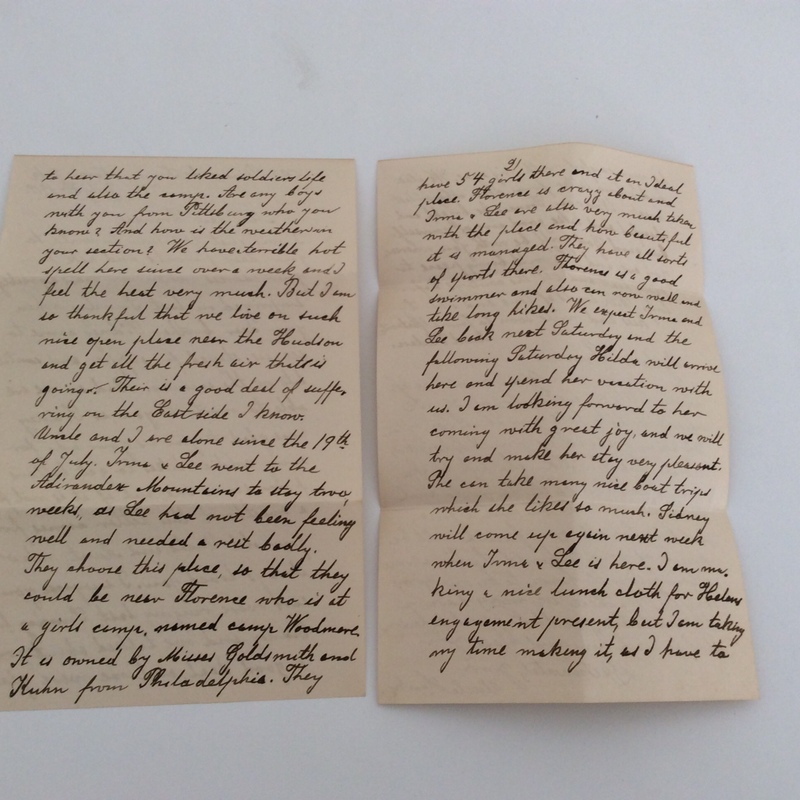 The next post will contain the letters written by Frank during World War I. I’ve transcribed all the letters as close to their original spelling and punctuation as I could, but made some changes just for purposes of readability. No words were deleted or changed; nothing was added, except where I’ve put my own comments in brackets. 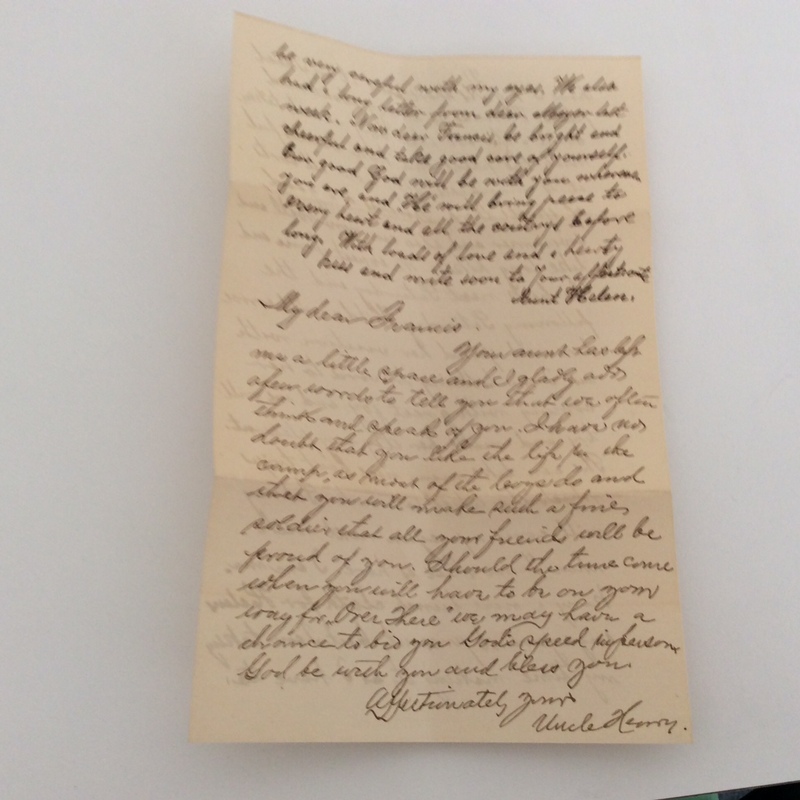 What struck me as meaningful about these letters is what they reveal about the close connections among the Schoenthal siblings—the ten children of my great-great-grandparents Levi Schoenthal and Henriette Hamberg. These three letters date from 1907 to 1939, and each one shows that this large and extended family knew and cared about each other. The oldest letter was a letter written by Frank’s great-aunt Helen Lilienfeld Schoenthal, the wife of my great-great-uncle, Henry Schoenthal. Helen wrote this letter from Washington, Pennsylvania in 1907, to Frank, grandson of her sister-in-law Hannah Schoenthal. Years roll by, and children grow up to man and womenhood before we know it. And so it is with you my dear boy. I can hardly realize that you have reached your 14th birthday, and it seems to me only a little while that dear Hilda was our representative at your Bris mihle. With a hearty birthday kiss accompanied by the best wishes I send you many congratulations. May our heavenly Father always protect and bless you, so that with every birthday your young life may be brighter and happier. May the best of health and a long life free of care and worry be yours that your dear parents will have a great deal of pleasure on you. Again I send you a little gift which help a little to swell your Bank account and which I hope will bring you the best luck in business. Uncle Henry, Hilda and Therese send their congratulations and love to everybody. Isn’t it interesting that in 1907 after being in the US for 35 years and clearly fluent in English, Helen reverted to German (and German script) to write to Frank’s parents, Gustav and Sarah Stern Oestreicher? Both Sarah and Gustav were native German speakers, but both also had been in the US for a very long time. I wonder if Frank could read German or was as puzzled as I was by the German script scrawled on the margin of his birthday letter. 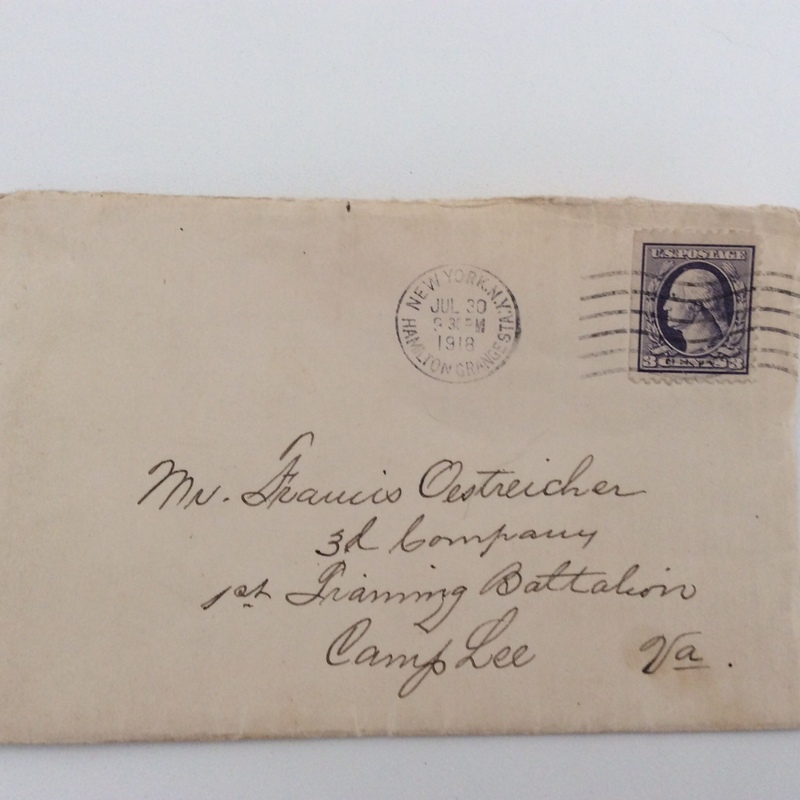 The second letter was written a little over ten years later in July, 1918 when Frank had joined the army, but before he was shipped overseas. 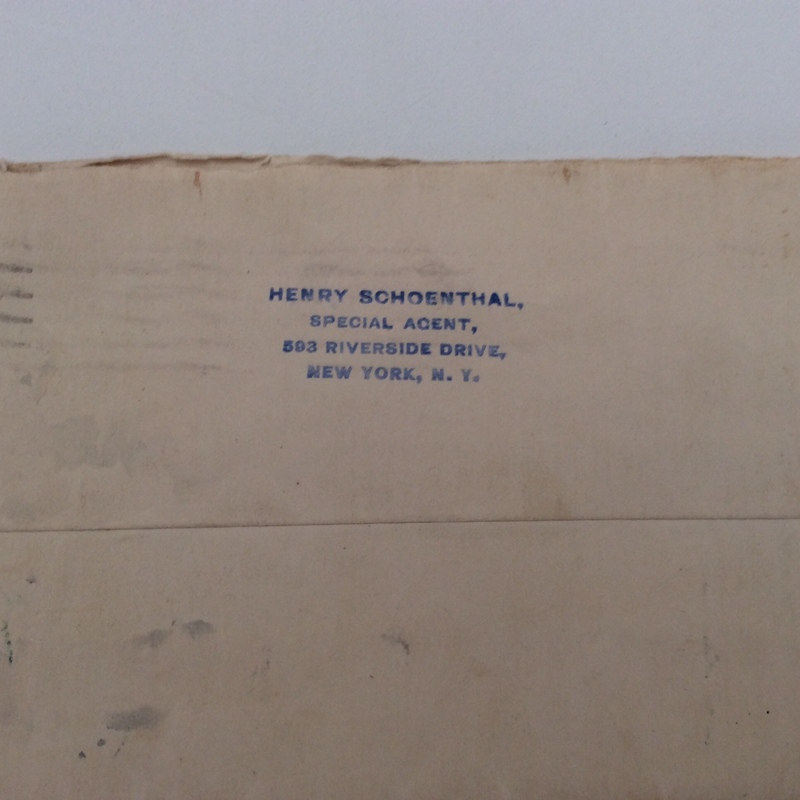 It is also from his great-aunt Helen, with a short addendum by his great-uncle Henry Schoenthal. 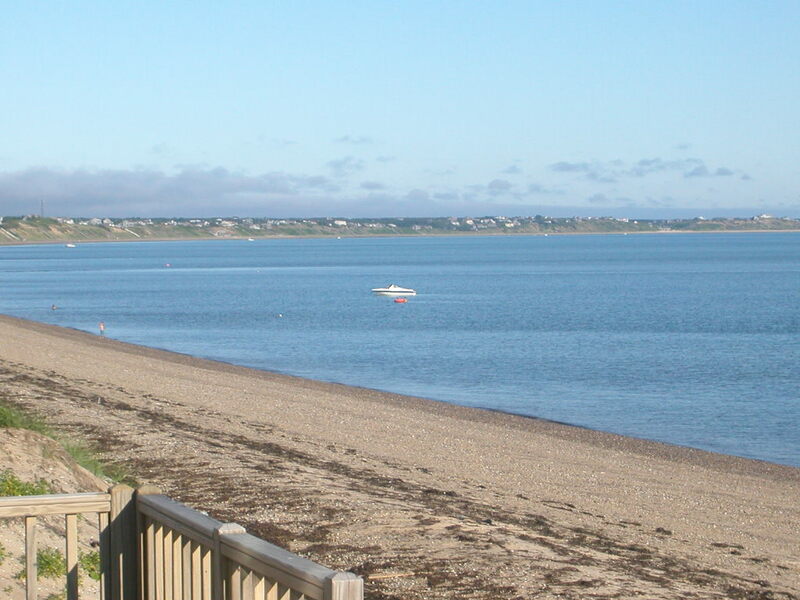 Once again, it is evident that Helen and Henry were closely connected to Frank, a child of their niece Sarah Stern, grandson of Henry’s sister Hannah. 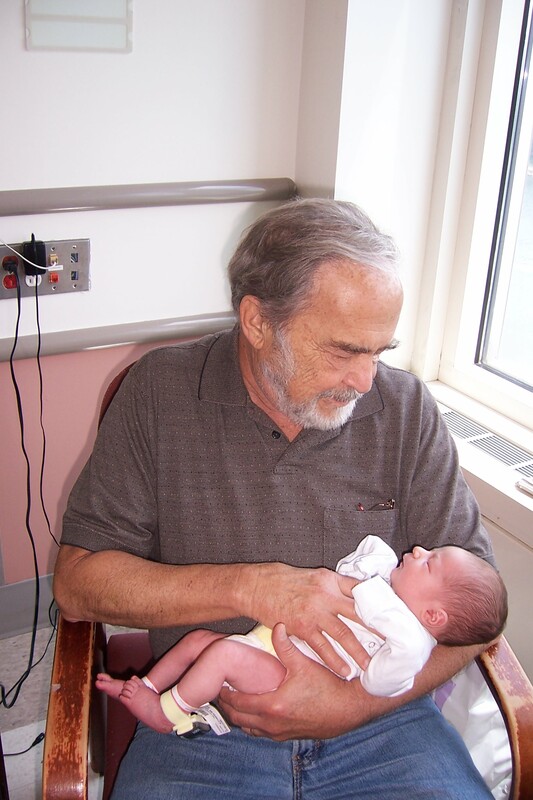 I was touched by how much affection there was for this young man, their great-grandnephew. The letter is also interesting because it talks about Henry and Helen’s own children, their daughter Hilda, their son Lee (born Lionel) and his wife Irma, and Henry and Helen’s granddaughter Florence, who was only thirteen when this letter was written. Helen did not use any paragraph breaks, but I’ve added some to make the text more easily read. I was just thinking to write to your dear parents and ask for your address, when we were agreeably surprised on last Sunday, when your dear brother Sidney came to see us, stayed for supper and until late in the evening. And so we are able to write to you, as Sidney was glad to give us your ad: for every soldier likes to get letters from some one, and if it is not from a sweetheart, this letter comes from your old Uncle and Aunt, who always loved you. I suppose your ears were ringing last Sunday, for Sidney and we talked about you a great deal, and we were glad to hear that you liked soldiers life and also the camp. Are any boys with you from Pittsburg who you know? And how is the weather in your section? We have terrible hot spell here since over a week, and I feel the heat very much. 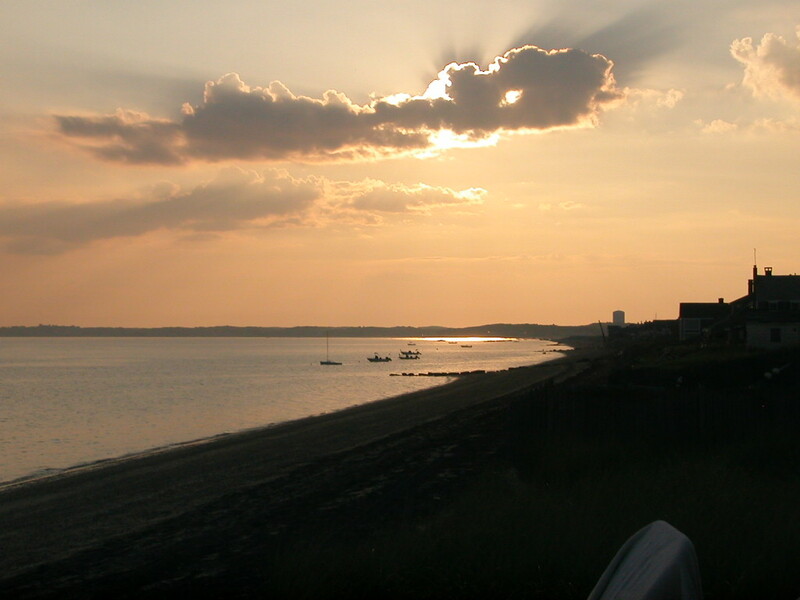 But I am so thankful that we live on such nice open place near the Hudson and get all the fresh air that is going. There is a good deal of suffering on the East side I know. Uncle and I are alone since the 19th of July. Irma & Lee went to the Adirondex Mountains to stay two weeks, as Lee had not been feeling well and needed a rest badly. They choose this place so that they could be near Florence who is at a girls camp named camp Woodmere. It is owned by Misses Goldsmith and Kuhn from Philadelphia. They have 54 girls there and it an ideal place. Florence is crazy about and Irma & Lee are also very much taken with the place and how beautiful it is managed. They have all sorts of sports there. Florence is a good swimmer and also can now [?] and take long hikes. We expect Irma and Lee back next Saturday and the following Saturday Hilda will arrive here and spend her vacation with us. I am looking forward to her coming with great joy, and we will try and make her stay very pleasant. She can take many nice boat trips which she likes so much. Sidney will come up again next week when Irma & Lee is here. I am making a nice lunch cloth for Helen’s engagement present, but I am taking my time making it as I have to be very careful with my eyes. [I assume Helen was Frank’s sister Helen, who married in 1920.] 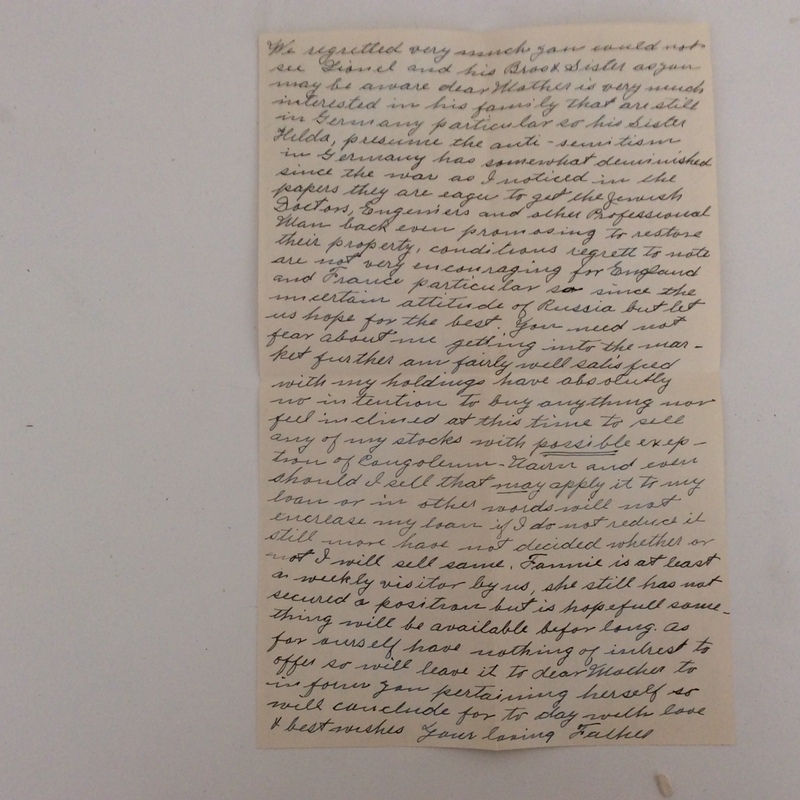 We also had a long letter from dear Meyer [their younger son] last week. Now dear Francis, be bright and cheerful and take good care of yourself. Our good God will be with you wherever you are, and He will bring peace to every heart and all the countrys before long. With loads of love and a hearty and write soon to your affectionate Aunt Helen. Your aunt has left me a little space and I gladly add a few words to tell you that we often think and speak of you. I have no doubt that you like the life in the camp, as most of the boys do and that you will make such a fine soldier that all your friends will be proud of you. Should the time come when you have to be on your way for “Over There” we may have a chance to bid you God’s speed in person. God be with you and bless you. 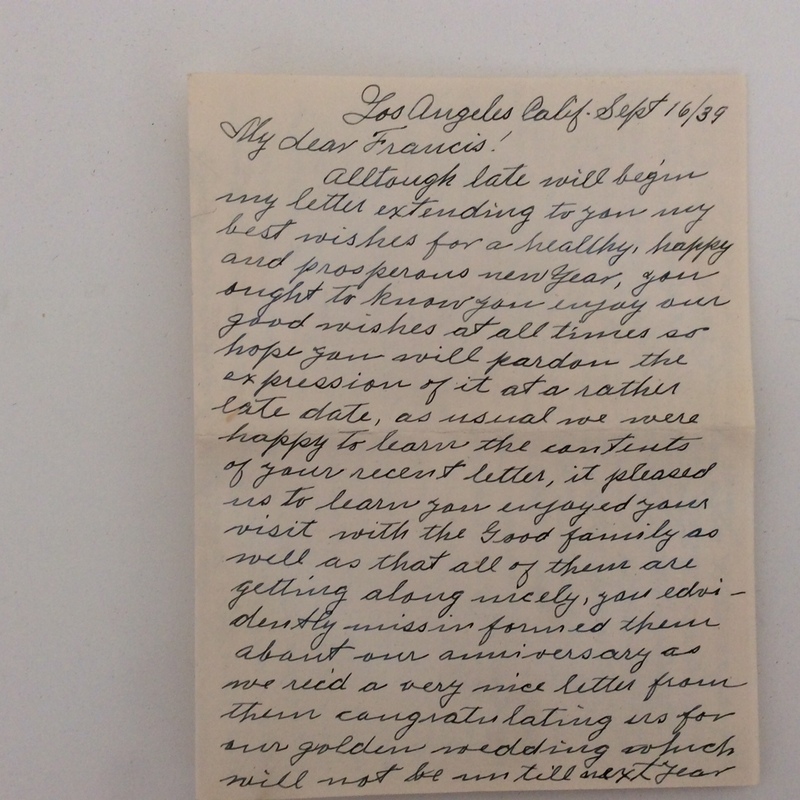 I read this letter as an attempt by his aunt and uncle to give him their blessing before he went off to war without making him too nervous about what he was about to face. Frank’s own letters, as we will see, reflect a similar impulse, only he is reassuring those at home that he is and will be okay. The last letter for this post was written many years later by Frank’s father, Gustav Oestreicher. It was written in 1939 after Gustav and Sarah had moved to California, as had their daughter Helen. 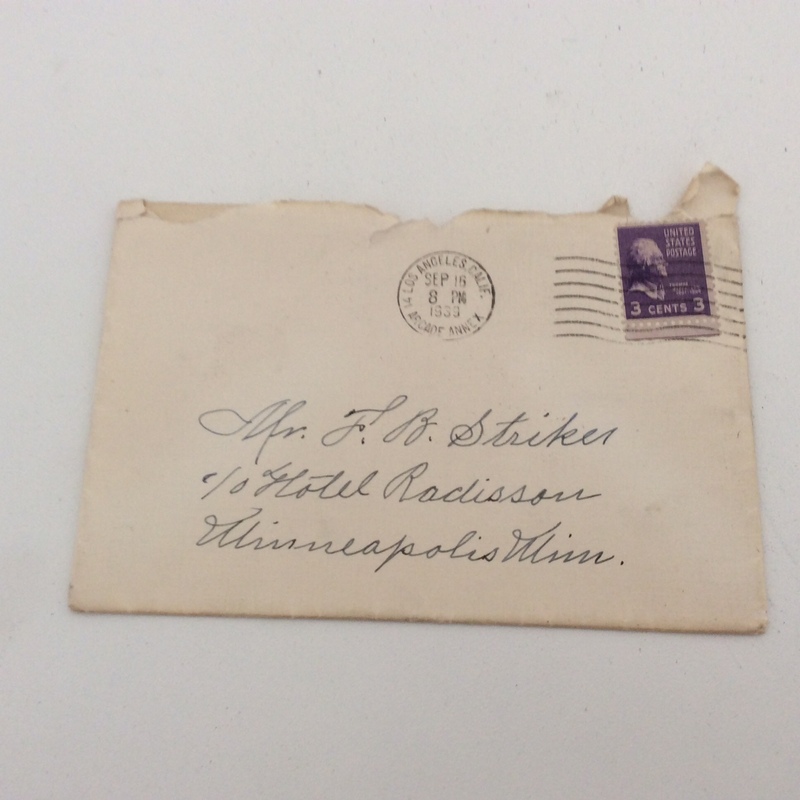 I am not certain whether Frank was living in Minneapolis or just visiting; the letter is addressed to him at a hotel, and from the content of the letter, I can infer that Frank had recently been to Chicago. I assume he was on the road in his capacity as a traveling salesman. A little background to help identify the people named in the letter: First, Gustav mentions the Good family. He must be referring to Edith Stern and Leo Good and their son Bernard; Edith was Sarah Stern Oestreicher’s younger sister, thus Gustav’s sister-in-law. 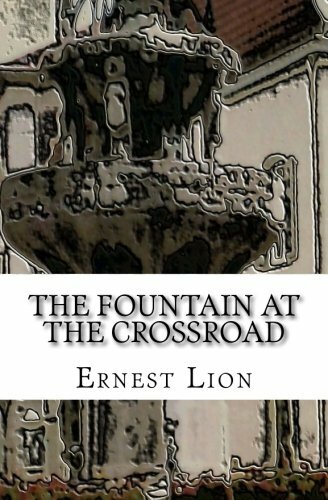 In 1939, the Good family was living in Chicago. 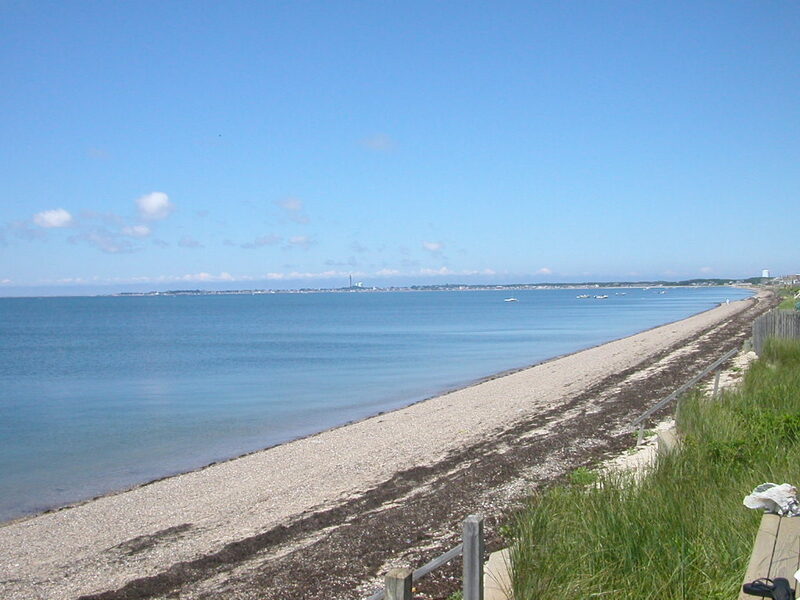 Gustav then mentions a Lionel and his brothers and sister and another sister Hilda. At first I thought this referred to the children of Henry and Helen Schoenthal, as they had a son named Lionel, a son Meyer, and a daughter Hilda. But after reading through the letter more carefully, I realized that he was referring to Lionel Heymann, the oldest child of Rosalie Schoenthal and Willy Heymann, about whom I wrote here. Rosalie was the youngest Schoenthal sibling, sister of Hannah Schoenthal, who was Gustave’s mother-in-law. So Rosalie was Sarah Stern’s aunt. Also, Gustav mentions a sister Hilda who was still in Germany. Henry Schoenthal’s daughter Hilda was not living in Germany, but in Washington, DC, in 1939. But Lionel Heymann had a sister Hilda who was still in Germany in 1939. I have written about what happened to Hilda Heymann as well as her sister Helene, who married Julius Mosbach and had two daughters, Liesel and Gretel. All were killed in the Holocaust. That fact makes Gustav’s comment even more chilling. I put those comments in bold below. I do not know who the Fannie mentioned towards the end of the letter could be. We regretted very much you could not see Lionel and his Bros. & Sister again. [You] May be aware dear Mother is very much interested in his family that are still in Germany particular so his Sister Hilda. [We] presume the anti-semitism in Germany has somewhat diminished since the war as I noticed in the papers they are eager to get the Jewish Doctors, Engineers and other Professional Man back even promising to restore their property. Conditions regrett to note are not very encouraging for England and France particular so since the uncertain attitude of Russia but let us hope for the best. You need not fear about me getting into the market further. Am fairly well satisfied with my holdings. Have absolutely no intention to buy anything nor feel inclined at this time to sell any of my stocks with possible exception of Congoleum-Narin and even should I sell that, may apply it to my loan or in other words will not increase my loan if I do not reduce still more. Have not decided whether or not I will sell same. Fannie is at least a weekly visitor by us. She still has not secured a position but is hopefull some thing will be available before long. As for ourselves have nothing of interest to offer so will leave it to dear Mother to inform you pertaining herself so will conclude for to day with love and best wishes. 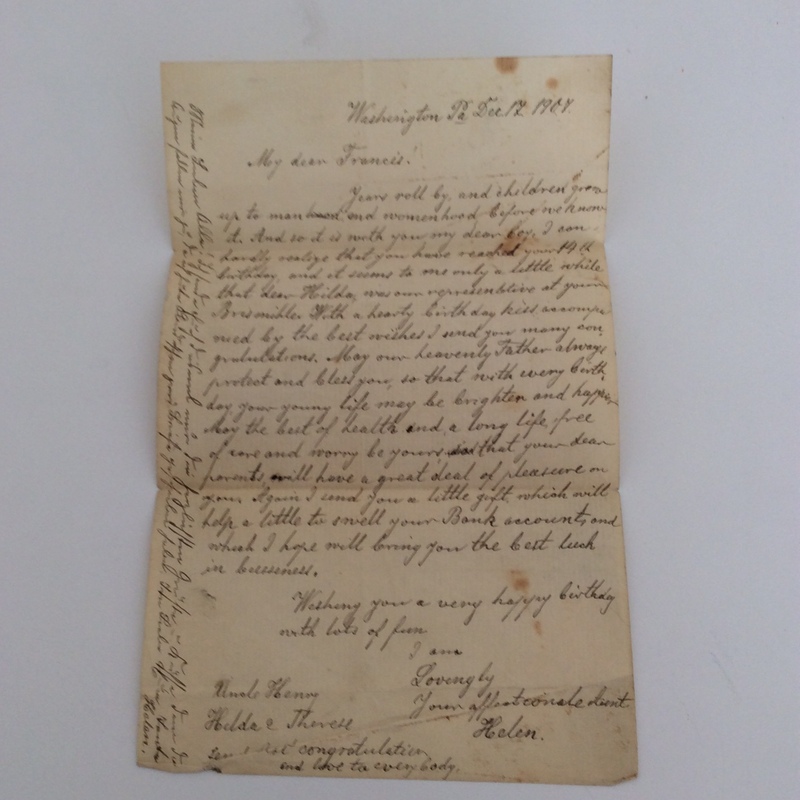 As with the earlier letters from Helen Lilienfeld Schoenthal, this letter reveals the close connections among the many Schoenthal siblings and their children. I’ve often wondered what the family knew about the two siblings who had stayed in Germany: Jakob Schoenthal and Rosalie Schoenthal. From Gustav’s letter it is apparent that the family was in touch at least to some extent with those family members who had not immigrated. 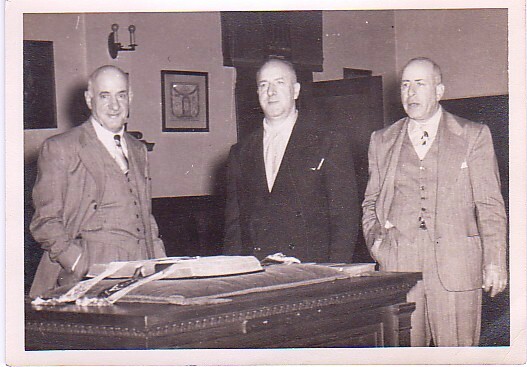 They knew that the three Heymann brothers were in Chicago, and they knew that some family members were still in Germany. Gustav’s hope that anti-Semitism was diminishing in Germany once the war started is so terribly painful to read, knowing what was going to happen not only to Hilda, her sister, and her nieces, but to six million other Jews living in Europe. Realizing how connected the family was to each other as late as 1939 makes me wonder what happened. 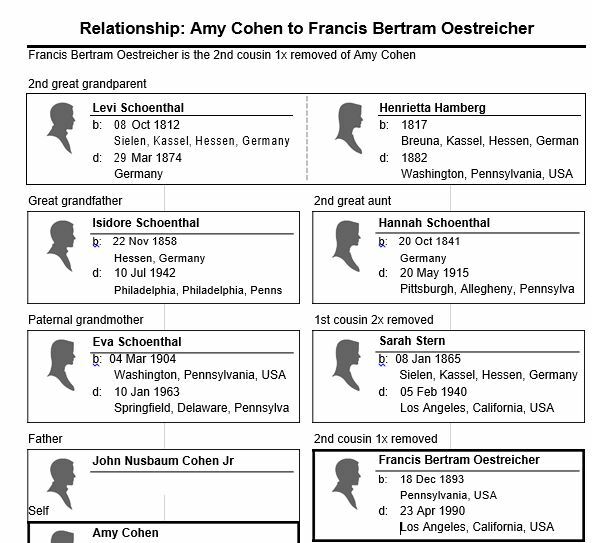 Why didn’t my father even know about all his Schoenthal second cousins like Frank and his siblings? Did my grandmother Eva Schoenthal know any of these people? My guess is that because my great-grandparents moved from western Pennsylvania to Denver when my grandmother was just a small child, not even four years old, she did not grow up with the benefit of knowing all those cousins in western Pennsylvania. Perhaps if she had, I would not have had to search to find my Oestreicher cousins. Perhaps we would have always known about each other. And the Tree Keeps Growing: A New Rosenzweig Leaf! I am delighted to announce that we have another new addition to the Rosenzweig family tree. Marvin Shea Sundick was born at 12:05 pm on February 20, 2015. He weighed 7 lbs. 5 oz. and was 20 inches long. He is the son of Lauren and Bradley Sundick and the brother of Madeline Sundick. He is the grandson of Robin and Ronald Sundick and of Ellyn Wolfenson, Mick Belzer and Bob Stein. 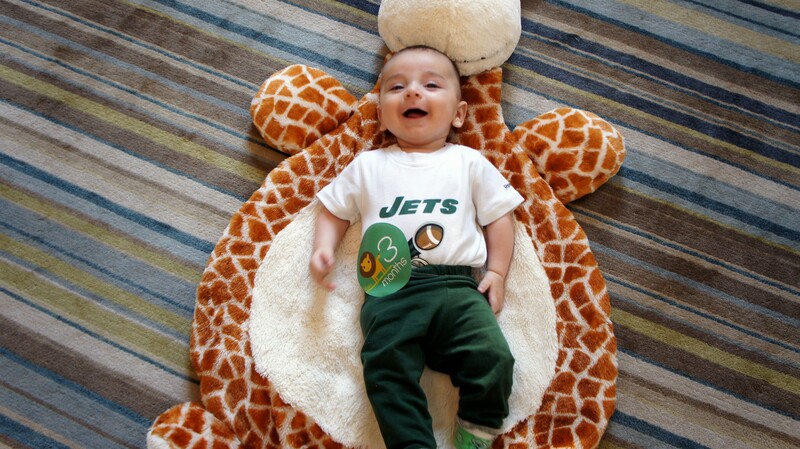 Marvin is also the great-grandson of Sandy Wolfenson. Marvin is named for two people. 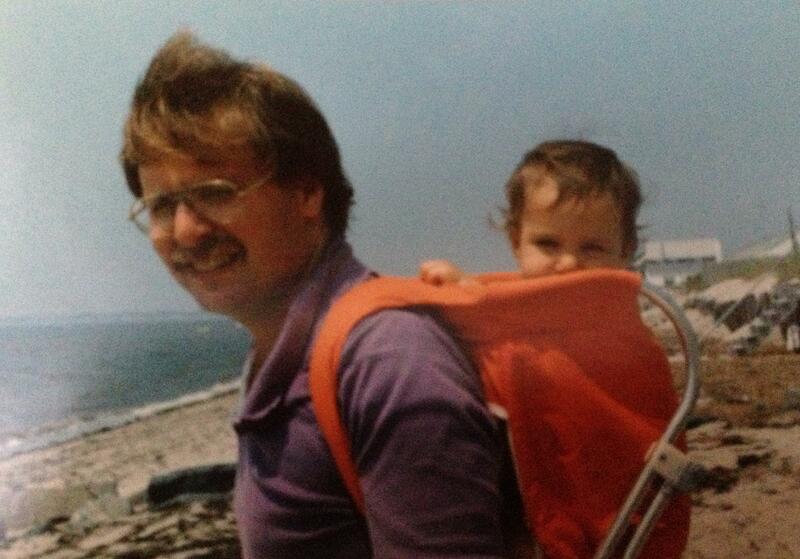 Marvin (in Hebrew, Moshe) is for Lauren’s maternal grandfather, Marvin Wolfenson, who passed away just a year ago. Shea was to honor the Shapiro family name (the birth name of Marvin’s maternal grandmother Robin). 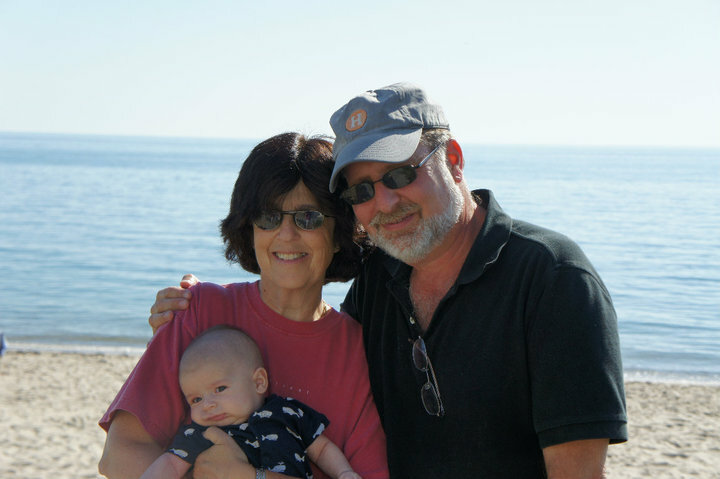 In Hebrew, Marvin’s middle name is Yisroel for Robin’s father, Israel Shapiro, Brad’s maternal grandfather and Marvin’s great-grandfather. Mazel tov to all of his family! And welcome to the family, Marvin! John Nusbaum died in 1889, leaving behind his widow Jeanette and their six children: Adolphus in Peoria, Simon and Frances both in Santa Fe, Julius in Iowa, and Miriam and Lottie both in Philadelphia. By 1925 Jeanette and all six children were gone. This post will describe their lives in the decades between 1890 and 1925. Jeanette and Lottie: In 1890, Jeanette Dreyfuss Nusbaum was a widow, living in Philadelphia with her daughter Lottie. In 1900, Jeanette and Lottie were still living together in Philadelphia. According to the 1900 census, they were living as boarders in the home of another German-born widow named Jenette Oberdorf and her children. Lottie was working as a stenographer, according to two Philadelphia directories in the 1890s. He did not, however, pursue music as a profession after the war. On the 1880 census, he listed his occupation as an embroiderer, and on various city directories in the 1880s he had been listed as a salesman. In 1894 and 1896, he is listed as being in the curtains business, and in 1897 he is listed in business with Laurence Frank in the cotton goods business under the firm name Josephs and Frank Co. Then in 1898 he is still in the cotton goods business, but with a new partner, Louis Wertheimer. On the 1900 census, Gustavus and Miriam were living with their two children, Florence, now nineteen, and Jean, just six years old. The 1900 census asked women how many children they had had and how many were still living. For Miriam, the census reported that she had only had two children, both of whom were still living. This was obviously not true, as Miriam and Gustavus had had two other children, Milton and Gertrude, who had died. Was this just bad information given by someone who did not know the facts? Or were Miriam and Gustavus just in denial? Interestingly, by 1914 Gustavus had returned to the embroidery business, or perhaps that was what he’d been doing even in 1910 as a silk winder. He is listed as an embroiderer thereafter in subsequent directories as well, although on the 1920 census he is listed as a manufacturer in the mill industry. I am not quite sure what to make of Gustavus’ career path. Were these really all related businesses or even the same business? He certainly seemed to be involved with fabrics throughout in one way or another. Adolphus and Fanny: In 1890, the oldest child of John and Jeanette, Adolphus Nusbaum, was still living in Peoria with his wife Fanny, but he was no longer in business with his brother younger brother Julius. The last Peoria directory to include Julius was the one published in 1887. Adolphus is listed with only a residential address in the 1890 and 1891 Peoria directories, but beginning with the 1895 directory, he is listed as being in the feed business. He was still in the feed business as of the 1900 census and the 1900 Peoria directory. Then on February 8, 1902, Adolphus died “20 miles from Chicago while en route to Chicago,” according to the Nusbaum family bible. 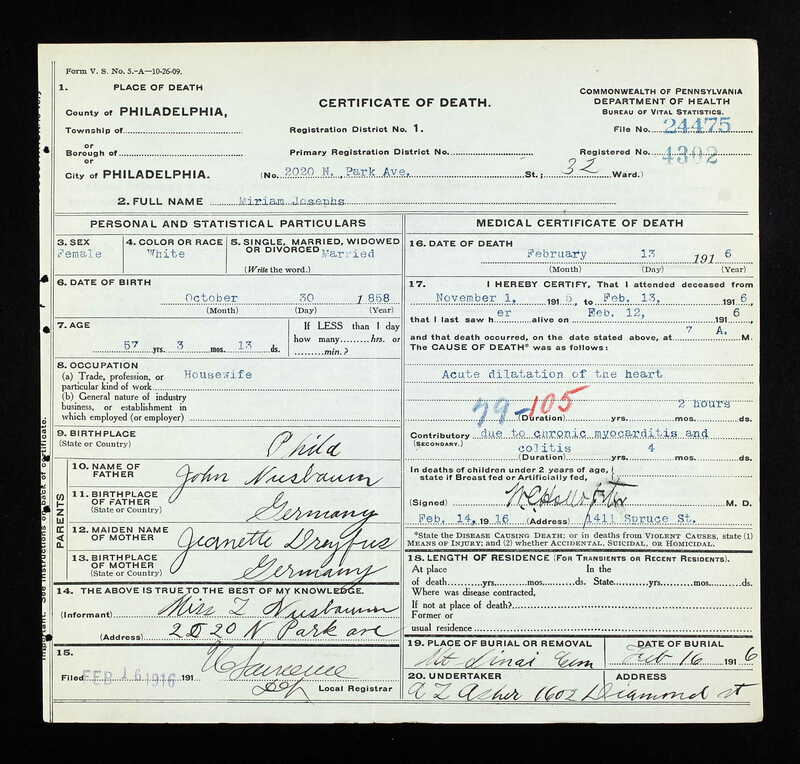 I did not know what this could possibly mean, and I was even more confused when I found a Philadelphia death certificate for Adolphus, given that the last address I had for him was in Peoria. But this article also raised more questions. As far as I know, in 1902, Adolphus did not have a brother in Philadelphia, unless Julius had relocated there at that time. Simon was still living in Santa Fe. And what had Adolphus been doing in Washington? He must have been traveling by train. Did he have a heart attack or stroke while traveling? Was his wife Fanny with him? I don’t know. It’s also interesting that despite having lived in Peoria since he was barely in his 20s and having married a woman who had been living in Indiana in 1863, Adolphus was buried at Mt. Sinai cemetery in Philadelphia with the other members of the extended family, including his father John. UPDATE on the coroner’s report can be found here. Frances and Bernard: In 1890, two of the children of John and Jeanette continued to live in Santa Fe, my great-great-grandmother Frances Nusbaum Seligman and her brother Simon Nusbaum. Frances was busy with her charitable and social activities in Santa Fe. Her children Eva, James, Minnie and Arthur all went off to Swarthmore in Philadelphia in the 1880s, where Minnie died at age eighteen in 1887, as I’ve written about previously. Frances herself died in July, 1905, two years after her husband Bernard. She was 59 years old. As I described when writing about Frances and Bernard, both were warmly praised and well-loved by the Santa Fe community. Both were buried, however, back in Philadelphia at Mt. Sinai cemetery. It must have been terrible for Jeanette to lose her son Adolphus in 1902 and her daughter Frances 1905, not that many years after losing her husband John as well as so many grandchildren. 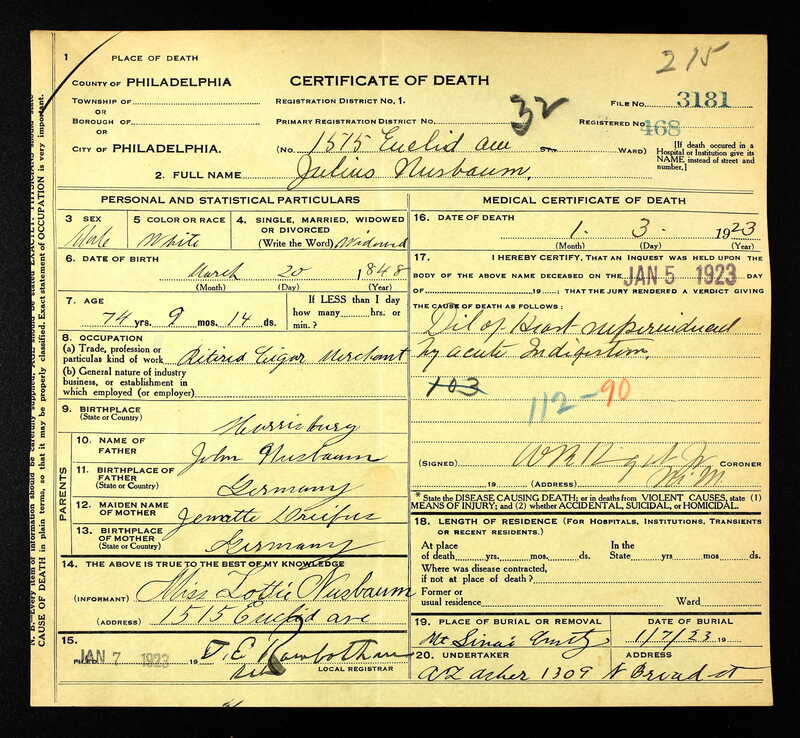 Jeanette herself died on January 12, 1908, from edema of her lungs, according to the death certificate. She was 90 years old. She was buried along with her husband, her children Frances and Adolphus, and numerous grandchildren and other relatives at Mt. Sinai cemetery in Philadelphia. 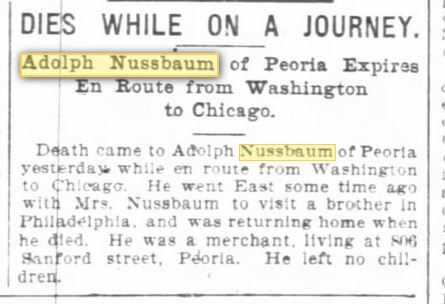 Julius: As for Julius Nusbaum, who had once been Adolphus’ business partner in Peoria, as noted above he was last listed in the Peoria directory in 1887 and then disappeared from Peoria. He next surfaced in 1900 in Grinnell, Iowa, living alone as a single man and working as a tobacco merchant. Grinnell is over two hundred miles from Peoria and over a thousand miles from Philadelphia. What had taken him to Iowa and when had he gotten there? Had he gone into the tobacco business for the same reasons that his father John had gone into the cigar business in the mid-1880s? In 1891 Julius is listed in the Waterloo, Iowa directory as a cigar dealer, and on the 1905 Iowa State Census he is living in Grinnell. It does not thus seem like he was living in Philadelphia in 1902 when Adolphus and Fannie came to visit. Was the newspaper just wrong about that detail, or was the 1905 directory wrong? Certainly Adolphus had other family members to visit in Philadelphia, including his mother Jeanette, his sister Lottie, and his sister Miriam and her family. Julius is not listed in either the 1904 or the 1906 Waterloo, Iowa business directory, and I cannot find him on the 1910 census anywhere, so I do not know whether he was still living in Iowa at that point. 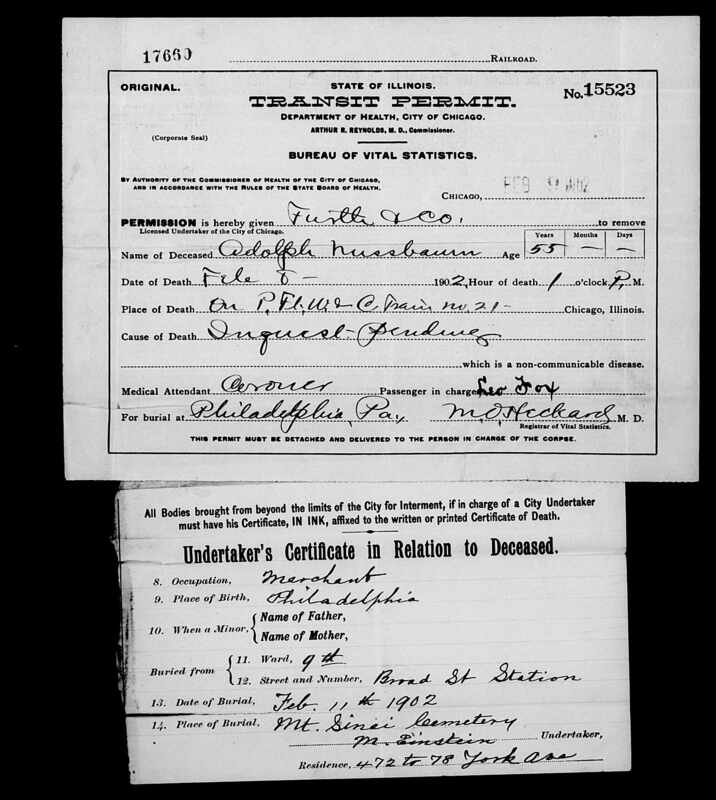 But by 1920 he had returned to Philadelphia, listing his occupation on the 1920 census as a retired cigar merchant and living as a boarder. Living in the same residence with him in 1920 also as a boarder was a 62 year old widow named Fannie Nusbaum who had been born in Germany; this was obviously Adolphus’ widow, Julius’ sister-in-law. I could create all kind of romantic stories about Julius and Fannie, but they would be speculative for sure. Julius had lived with Adolphus and Fannie in Peoria and had been in business with his brother. Suddenly after working together for over twenty years, Julius left Peoria and moved to Iowa, where he presumably knew no one and where he started an entirely new business selling cigars. 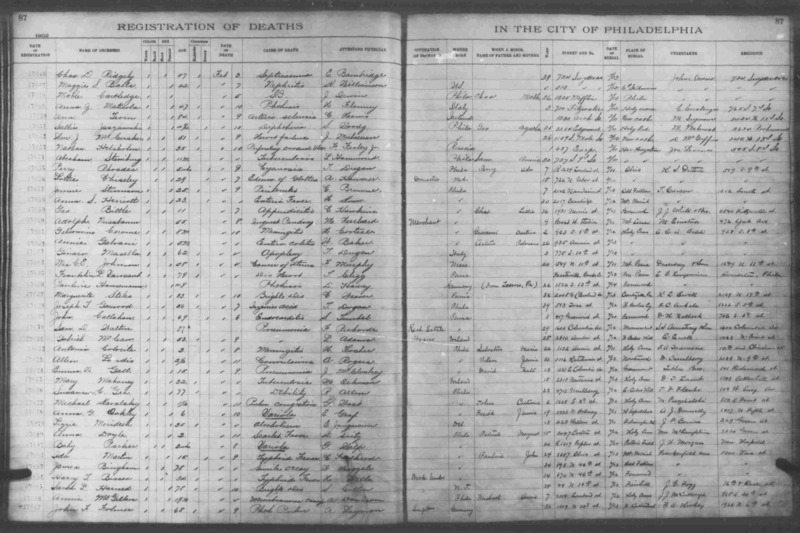 Then Adolphus died in 1902, and I can’t find Julius or Fannie anywhere on the 1910 US census or in city directories. Ten years later, Julius and Fannie ended up living together in Philadelphia. Where were they both in 1910? Of course, it could be completely innocent: a devoted brother taking care of the widow of his older brother. And it probably was. I’ve likely read too many novels and seen too many movies. I have no evidence of any such scandalous events. I am sure the story is far less interesting than all that. 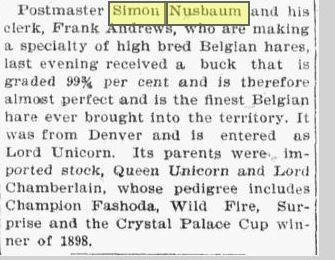 Simon: Meanwhile, back in Santa Fe, the other Nusbaum brother, Simon, had settled in as part of the community by 1890. The Santa Fe New Mexican reported in September 1889 that he had returned from a month’s vacation and “looked like a new man,” having gained twenty pounds. There was no further explanation for the comment, but perhaps Simon had had a rough time after losing his father in January of 1889. After that, his life seems to have taken a positive turn. Having served first as a clerk and then as assistant postmaster in Santa Fe, Simon was appointed by President McKinley to be the postmaster there in May, 1898. 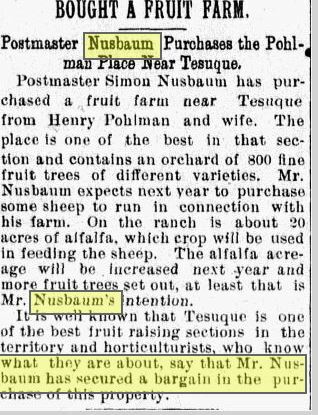 The Santa Fe newspaper also quoted from the Peoria Evening Star, which said, “Years ago Nusbaum & Co. were the great dry goods firm of this city. 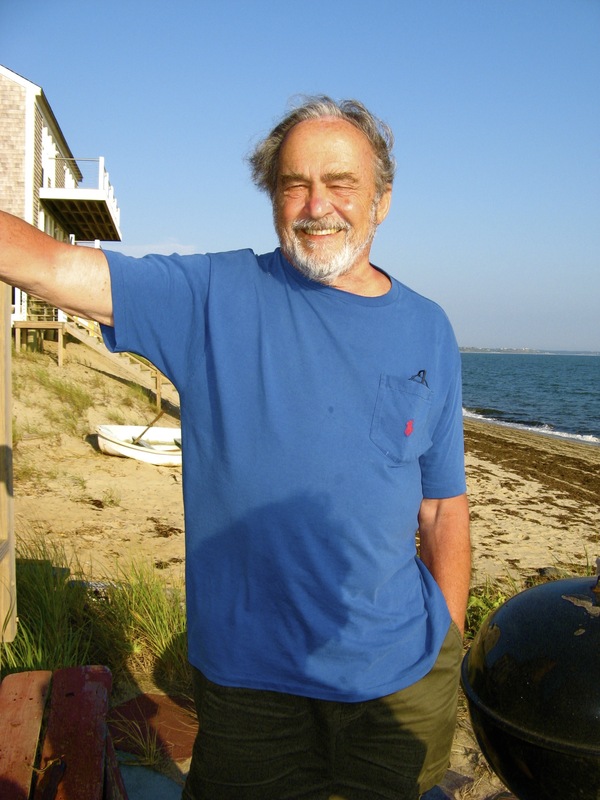 One of the members was Simon Nusbaum. He was a smart, active, pushing man….” Santa Fe New Mexican, May 19, 1898, p. 2. Simon was still a single man at that point. In 1899 he reportedly bought a fruit farm near Tesuque, New Mexico, apparently for a very good price. He later began breeding high bred Belgian hares in partnership with one of his clerks at the post office. 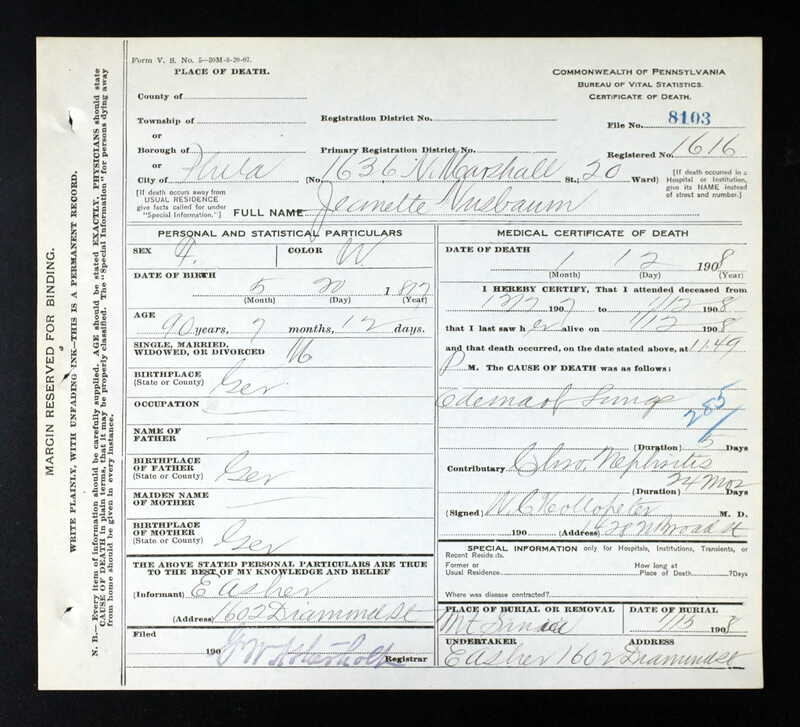 Although Simon was still single as of the 1900 census, he married Dora Rutledge in 1903. It was the first marriage for Simon, who was 57 years old. Dora was only forty. She had a daughter from an earlier marriage, Nellie Rogers, who was born in 1897. 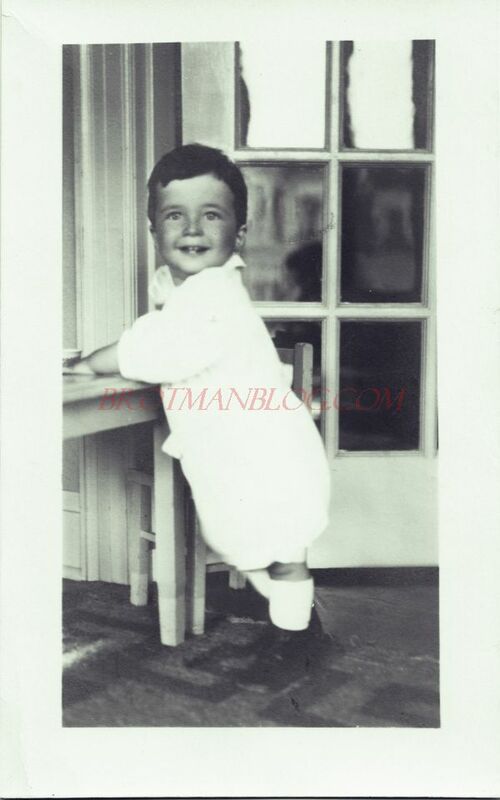 Simon and Dora’s son John Bernard Nusbaum, was born on May 15, 1904. On the 1910 census, Simon was now the assistant New Mexico Territorial Treasurer, and he and Dora and the children must have been living in a boarding house because they had seven lodgers living with them. In fact, the 1920 census reveals that Simon and Dora were the owners of that boarding house, which was being managed by Dora. Simon was now 76 years old and Dora was 49. 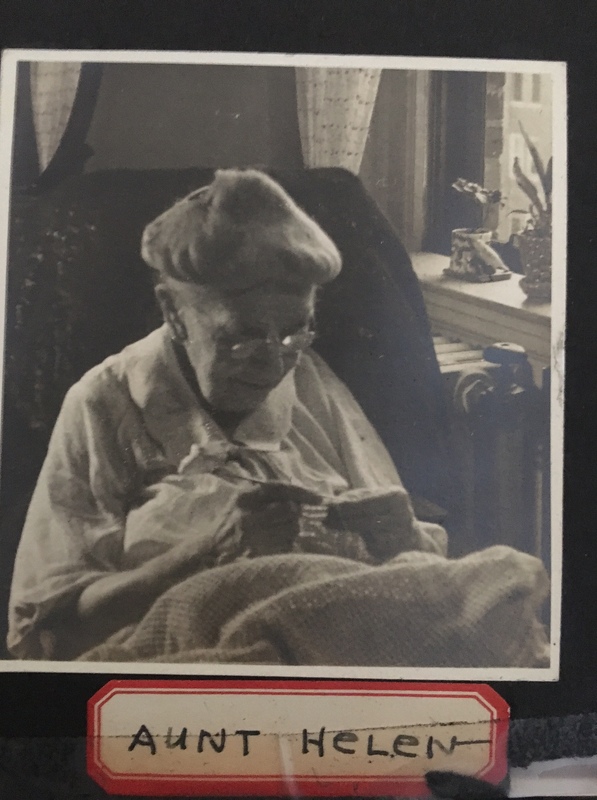 When Jeanette Nusbaum died in 1908 at age 90, she had outlived two of her children, Adolphus and Frances, and many of her grandchildren, as well as her husband John. Four of her children had survived her: Simon, Julius, Miriam and Lottie. By 1925, all of those children would be gone. On February 13, 1916, Miriam died of heart disease. She was 57 years old and survived by her husband Gustavus and two children, Florence, who was 36, and Jean, who was 23. Gustavus died eight year later at age 75 of pectoris angina. I winced at the references to “bad Indians” and “red chiefs,” trying to keep in mind that this was 1921. I was intrigued by the references to Simon’s time living in Missouri and South Dakota, as I have seen no documentation of his time in either place. He was still in Philadelphia in 1860 when he was 17, and he was in Peoria starting in 1863 until 1877. By 1880 he was in Santa Fe. So perhaps he had spent those years in between in Missouri and South Dakota. The image of Simon as the postmaster sorting the mail in his nightgown at midnight is wonderful. 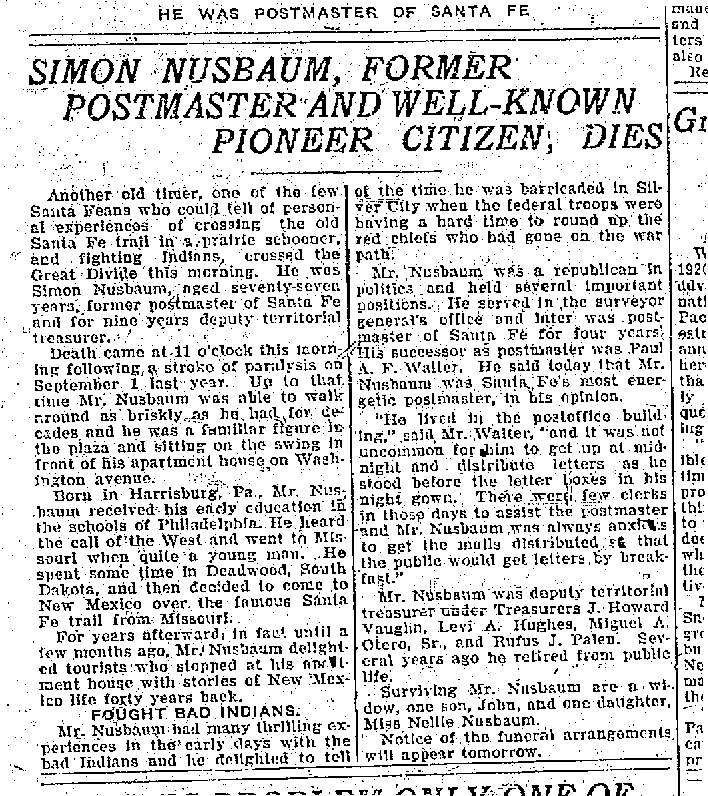 Just two years later, Simon’s brother Julius Nusbaum died in Philadelphia on January 3, 1923. He was 74 years old and died from “Dil of heart, superinduced by acute indigestion.” I googled this phrase and found that it was often used as description of a cause of death in the early 20th century, but I could not find any medical dictionary that explained what this meant. Dilation of the heart refers to an enlarged heart that cannot adequately pump blood, what we might refer to today as heart failure. But I have no idea what “superinduced by acute indigestion” means or whether that is today considered even medically accurate. Perhaps my medical consultant will fill me in. 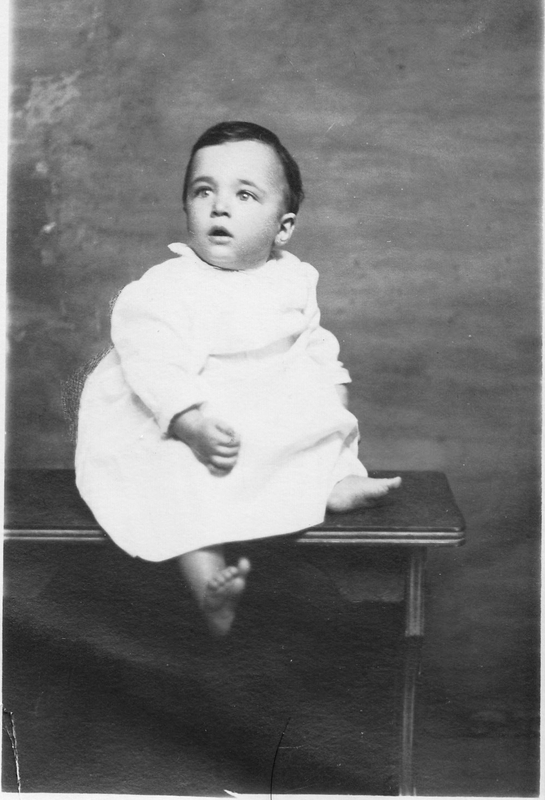 Finally, the last of the children of John and Jeanette Nusbaum, Lottie died on December 23, 1925, of nephritis and diabetes. She was 64 years old. Both Julius and Lottie did not have any children. Thus, as of 1925, all six children of John and Jeanette were gone. Three of them had no children to survive them, Adolphus, Julius, and Lottie. The other three siblings had together six surviving children: the three surviving children of Frances Nusbaum and Bernard Seligman, Eva, James, and Arthur; the two surviving children of Miriam Nusbaum and Gustavus Josephs, Florence and Jean; and the son of Simon Nusbaum and Dora Rutledge, John Bernard Nusbaum. If I include Simon’s stepdaughter Nellie, who was after all referred to as his daughter in his obituary, that would make seven surviving children. And there were the four grandchildren who had died as children, Florence and Minnie Seligman and Milton and Gertrude Josephs. I have already written about the surviving Seligman children, my great-grandmother Eva and her brothers James and Arthur. 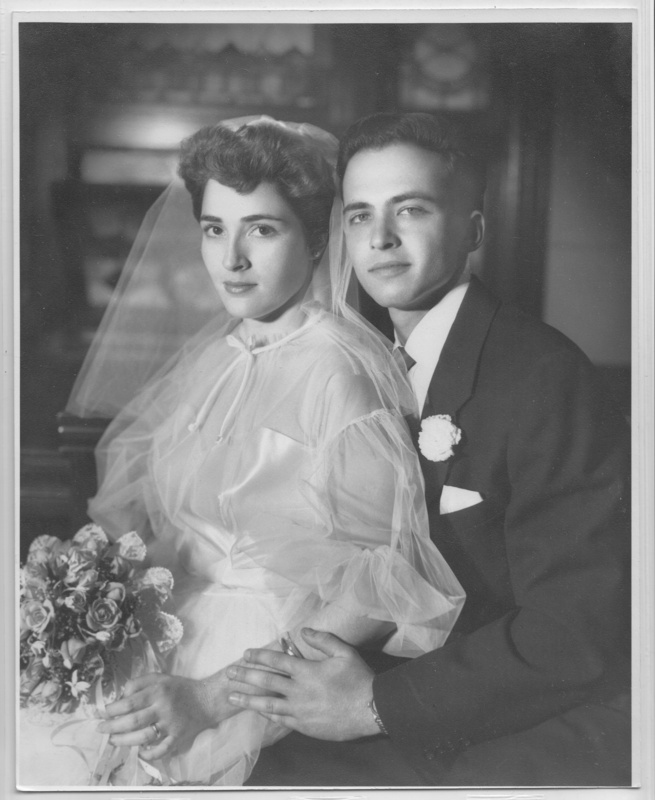 In a later post, I will follow up on the other surviving grandchildren of Jeanette Dreyfuss and John Nusbaum, Florence and Jean Josephs and Nellie and John Nusbaum and their families. 2014 in review: Thanks and Happy New Year! As 2014 draws to a close, I look back with gratitude for all the wonderful things I have experienced this year. 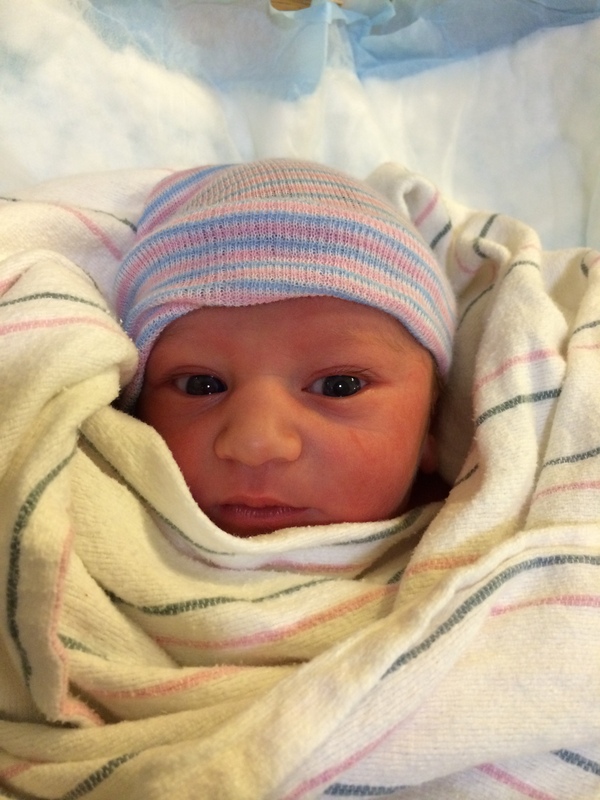 First and foremost, on June 5, 2014, my grandson Remy Brandon Fischer was born. He is now almost seven months old, sitting up, playing with toys, and enchanting all of us with his calm nature and sweet disposition. Remy and Nate continue to be constant sources of joy in my life. My family has grown in other ways as well. Not only have there been new babies across my family lines, I have found more and more new cousins. 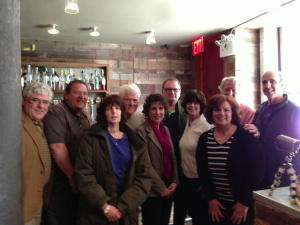 This was a year when in April, we had an amazing reunion of the Brotman cousins in New York City. I got to meet several of my second cousins for the first time as well as their significant others and some of their children. It was definitely a major highlight of 2014 for me. 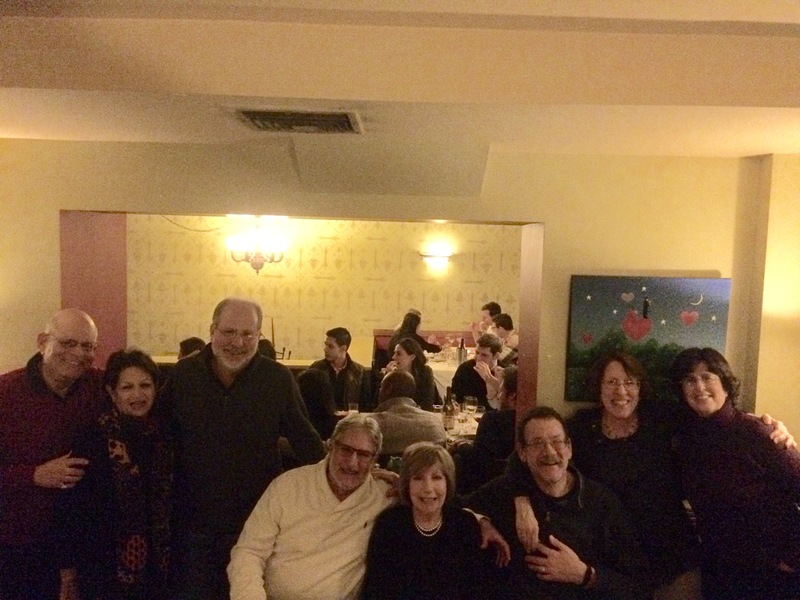 I am hoping we can do it again soon, and I am also beginning to think about a reunion for the Rosenzweig/Goldschlager cousins also. On the Rosenzweig/Goldschlager side, I had a great time having lunch with my cousin Linda and her husband Harvey in Boston. I have also been blessed with many other new cousins whom I have yet to meet in person, but with whom I have skyped, talked on the phone, or emailed. My cousin Pete has been a wonderful friend and colleague as we shared the adventures of learning about our Seligman ancestors. Gracias, mi primo, for it all. Talking to my cousin Marjorie was a special treat, as was skyping with my cousin Richard in Australia, talking to my cousin Jean in Georgia, my cousin Barry in Florida, my cousin Lois and her brother Paul, my Selinger cousins,my Kohl cousins, my Cole cousins, my Bacharach cousins, and my Cohen cousins! Thanks also to Lou for the wonderful photos of my Cohen relatives. All of these conversations and email exchanges have made this year meaningful and interesting. In addition, I have been blessed by the help and friendship of so many genealogy researchers this year. I cannot list them all, but special thanks to my fellow bloggers Wendy, Su, Leslie (Pancho), Luanne, Alex, Stephen, Jana, Mary Anne, Charles, and all the other bloggers who have read and commented on the blog and also provided me with useful tips and research insights. And thanks to all those who have helped through JewishGen or ancestry or Facebook like Dorothee, Beate, Walter, Ralph, Ned, Renee, Matthias, and many, many others who have helped me in my search. I apologize for any names I haven’t mentioned, but the list is so long that my aging brain cells cannot retain all the names. Thanks to all my followers and readers, whether you comment or not, whether you read once a year or every post. Although I like to think I am writing for posterity—for the future generations who cannot even read yet, it means a lot and makes doing this more fulfilling knowing that there are people out there who are reading what I write. 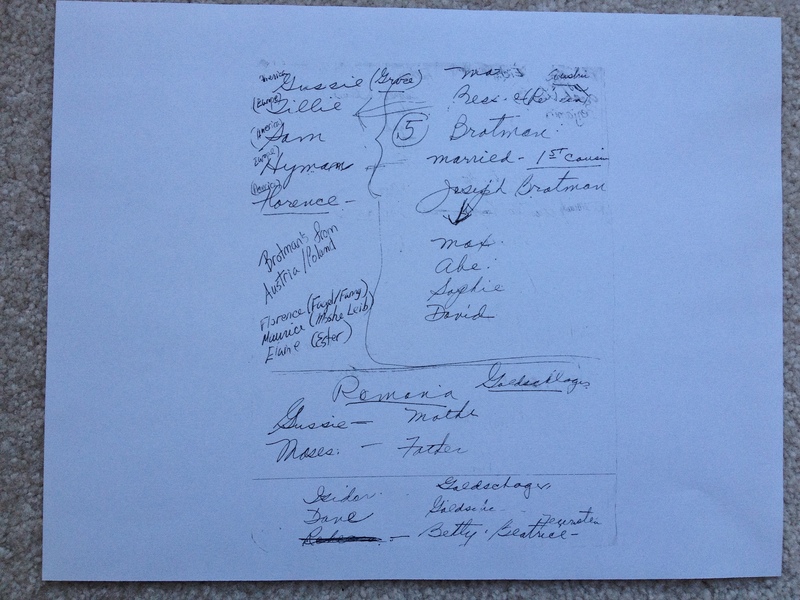 Special thanks to my brother Ira aka my medical consultant and to Laurel aka my consultant on matters of crime and mystery and to my cousin Jody, who found my aunt’s notes on the Brotman family trees and sent me all the old family photographs from her basement. And extra special thanks to my parents, who read every post, answer every question, listen to every boring detail, and support everything I do as they always have. My daughters may not read every post, or even most posts, but I continue to hope that someday in the future they will be interested in knowing more about their family history and will have this resource to turn to for answers. 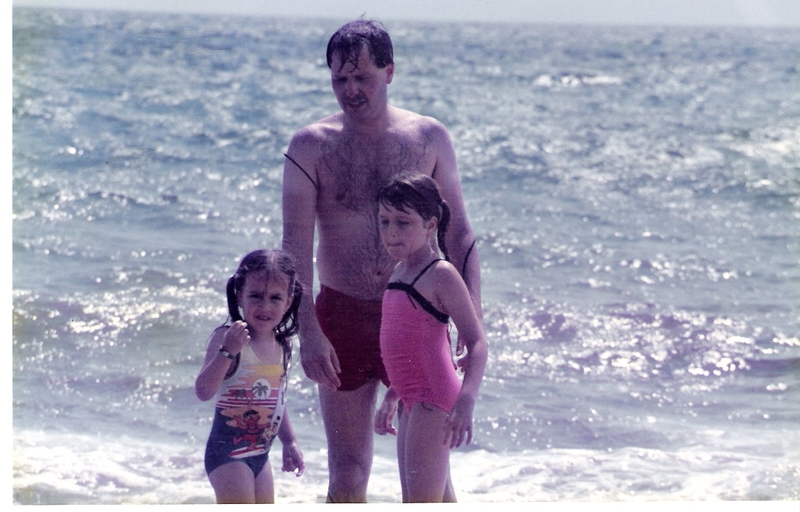 My daughters are in my head and in my heart with every word I write, every document I find, and every photo I share. This is ultimately for them whether they know it or not. And finally, for Harvey. Thank you for putting up with my obsession, for supporting it, for listening and hearing, for sharing in the journey, and for taking joy in knowing that this is something that gives me great joy and satisfaction. As with everything in our lives, I could not do this without your love and support. The year did, of course, have its sad moments. 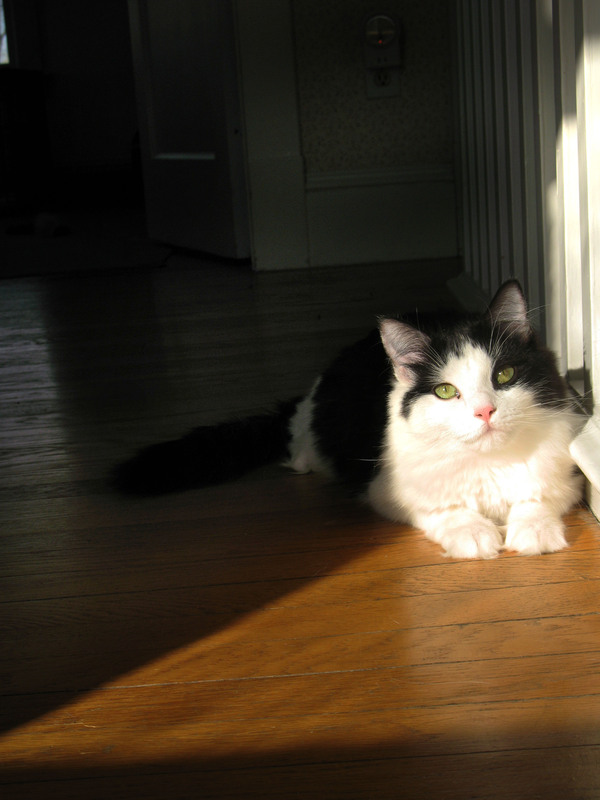 For me, the loss of my beloved cat Luna still makes my heart ache, but those sad moments just make me that much more grateful for all the happy times that far outweigh the sad times. In addition to my genealogy adventures, I got to go to the Florida Keys twice this year and spent a great summer on the Cape. 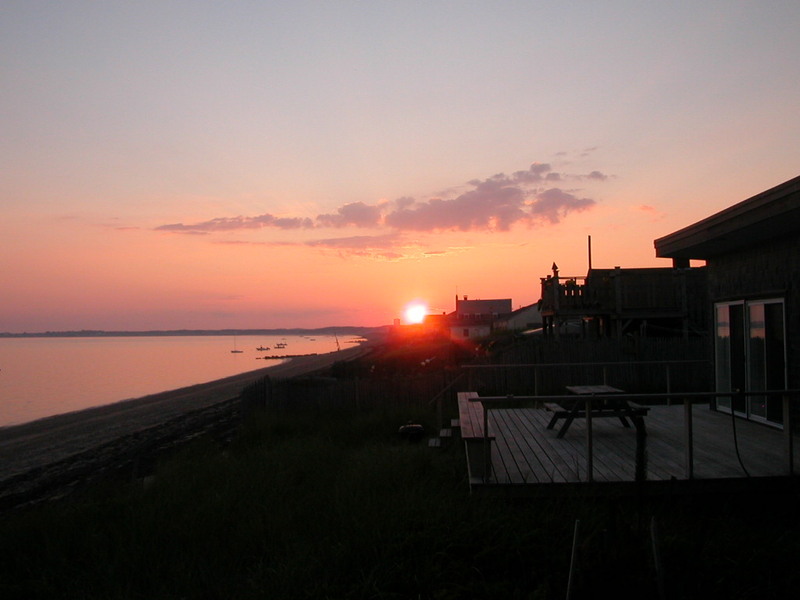 I retired from a job I loved with no regrets, and I am now able to spend my days choosing what to do and when to do it. I’ve found some meaningful volunteer activities and more time, of course, to research and blog. I’ve even started writing a novel, something I’ve always dreamed of doing. So it’s been an amazing year in many ways, and I look forward to another productive and fascinating year ahead in 2015. Coming soon—a big breakthrough on my Brotman line! And more about the Nusbaums, and then on to my father’s maternal lines. I close with this annual report prepared by the WordPress.com people. Thank you one and all, and happy New Year! May this be a year of happiness, health, fulfillment, and love for you all. As I mentioned in an earlier post, Arthur Seligman’s son Otis ran into trouble with the law in 1932 when he was indicted for embezzling money from the First National Bank of Santa Fe, where he worked as an assistant cashier and where his father, the governor of New Mexico, was the president. It could have been a scandal that cost his father the election, but it did not. On September 12, 1932 Time Magazine noted “A Federal Grand Jury indicted Otis Perry Seligman, cashier of the First National Bank of Santa Fe, N. Mex. for an alleged shortage of $25,941 in his accounts. Said his father, Governor Arthur Seligman, president of the bank, after making good the shortage: “He will have to take his medicine.” Nine other bank employees were also indicted. The total amount missing was reported by Bank Examiners as $72, 941.23. He and eight others pled guilty. One pled not guilty. Otis was sentenced to a total of 30 years but the sentences ran concurrently so that the maximum time served would be five years. In addition he was fined $10,000 payable to the US prior to release. He received the harshest sentence because, as an assistant cashier, he was considered a supervisor and officer of the bank. On September 8, 1932 he and six others were sentenced to terms in Leavenworth Federal Penitentiary in Leavenworth, Kansas. Two were given suspended sentences and one (Trujillo) was tried, found guilty and sent to La Tuna Federal Prison in Texas. 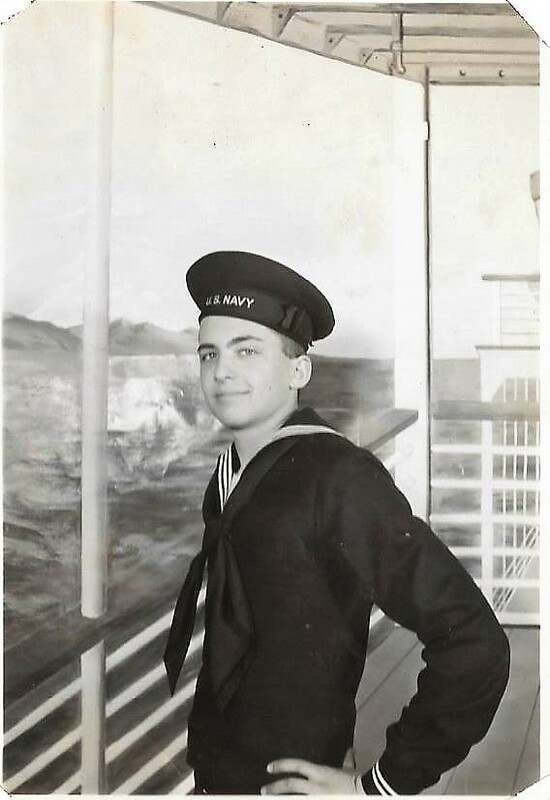 My father began serving his sentence in Leavenworth on October 8, 1932. His father, mother, wife, and group of friends saw him off at the Albuquerque train station while he was in custody of US Marshals. Otis Perry Seligman was a man who made mistakes. He, his wife, and his children all paid for those mistakes, and yet their story is a story of forgiveness. 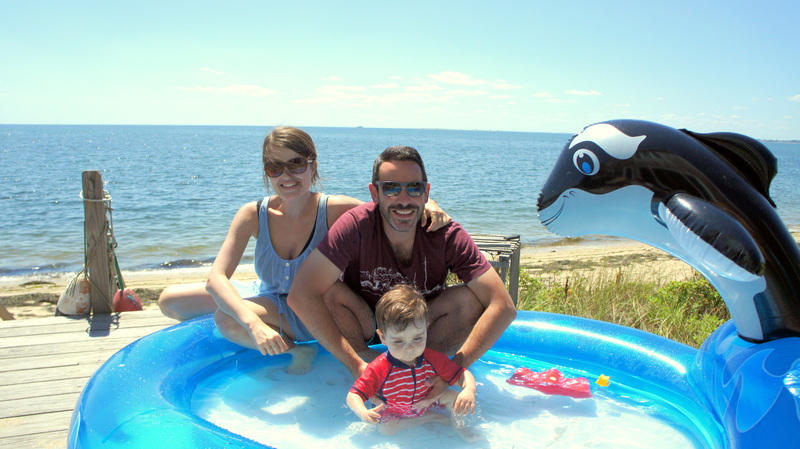 Happy New Year, Shana Tova, and Happy Blogiversary! I will post tomorrow morning about the town in Germany where my Seligman ancestors were born and what I learned about my family by researching that small town called Gau-Algesheim. But for now—I have three events to recognize. First, it was a year ago today that my cousin Judy set up the blog and I made my first blog post. 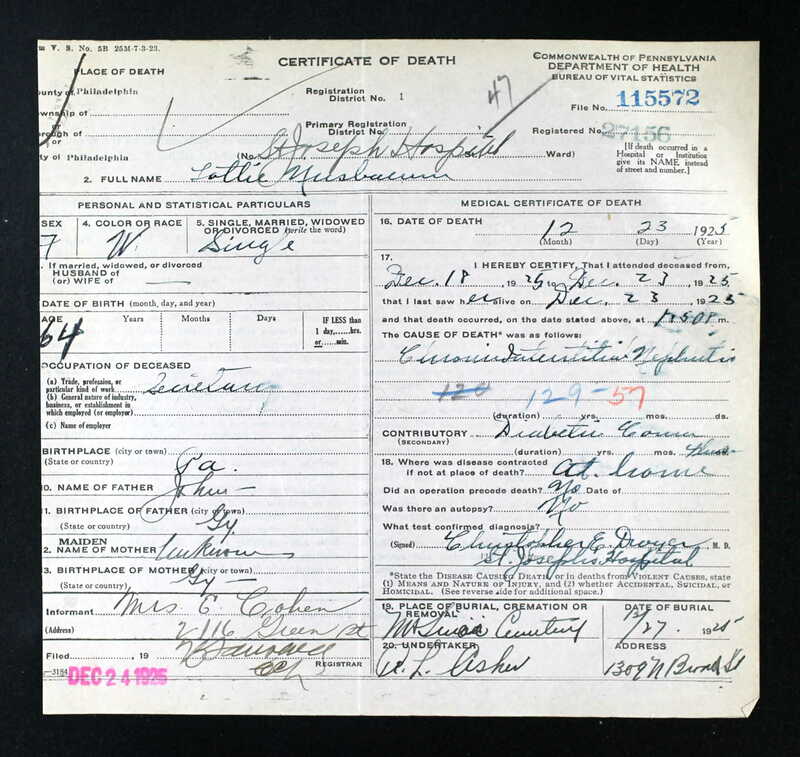 It had no text—just a posting of my great-grandmother’s death certificate. I was learning how to use WordPress, and I don’t even know if anyone saw that post other than Judy and me. I didn’t actually post anything substantive until October 4 when I wrote my first post about what to expect from the blog. But I will always celebrate September 23 as my “blogiversary” for another very good reason. September 23 was my grandmother Gussie Brotman Goldschlager’s birthday. She would have been 119 this year. 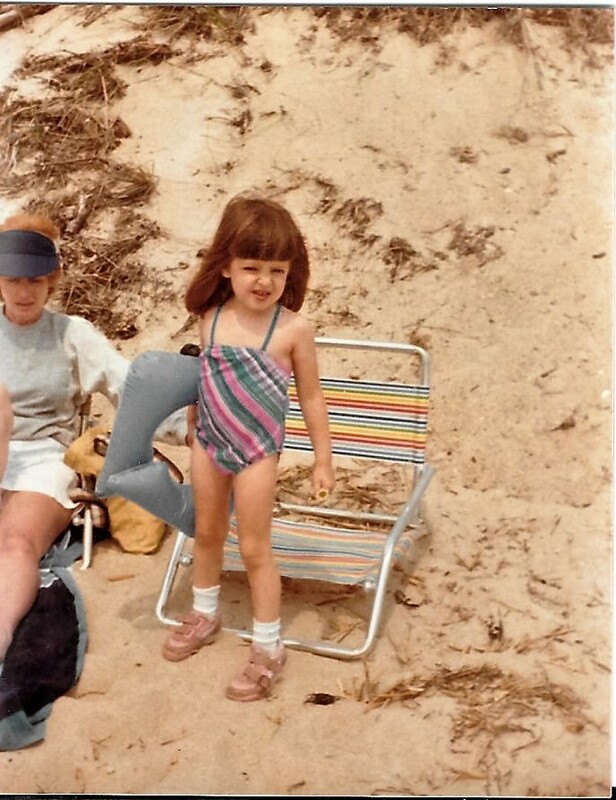 So happy birthday, Grandma, and happy blogiversary to me! Thank you all for being with me on this journey. I can’t believe in a year that I have made so much progress in learning about my mother’s family and my father’s family, although I am humbled by how much more I have to learn. And there is another reason for posting today. 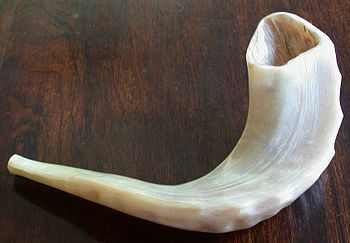 Tomorrow night is the beginning of Rosh Hashanah, the Jewish New Year. So it is not only the beginning of a new year for me with my blogging and genealogy adventures, it is a time for being thankful for all our blessings and for being reflective about the year that has gone by and the year to come. So let me reflect for a moment on this past year. 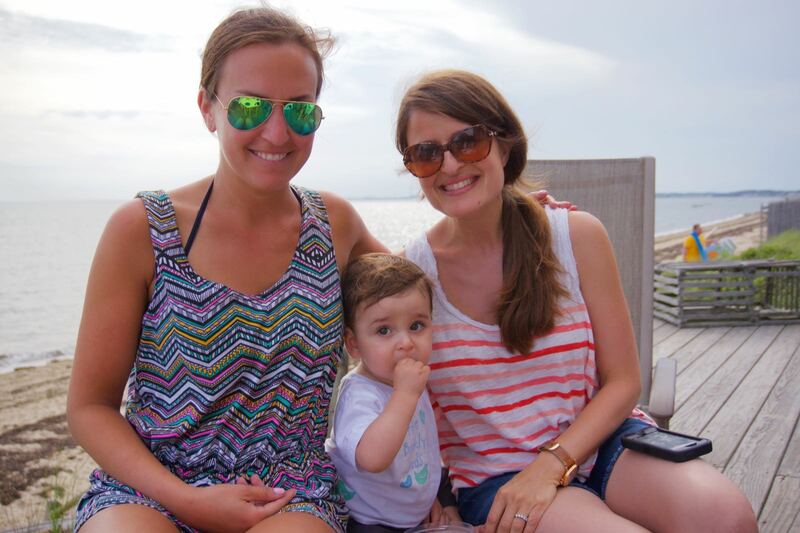 First and foremost, this year has brought the miracle of more children into the family. I am particularly grateful for the birth of my grandson Remy, now over three months old, a happy, smiling baby with a sweet and calm disposition. Two of my cousins also had new grandchildren this year, and perhaps there were others I don’t even know about yet who have enlarged our family tree. Second, I am grateful for the continuing presence in my life of my family—both my immediate family and my extended family—and for all my friends who are like family to me. I wish for you all a new year of good health, peace of mind, gratitude for all you have, and joyfulness. Third, I want to thank and recognize all my genealogy friends—fellow bloggers, Facebook genealogy group members, the people at JewishGen.org and JRI Poland and Gesher Galicia, and, of course, Renee Steinig, my mentor who has inspired me and taught me so much. May we all continue to work together to break down brick walls, to find our roots, and to honor our ancestors as best we can. Shana Tova to you all! May you all be inscribed in the Book of Life for a good year, and may it be a sweet year for everyone. 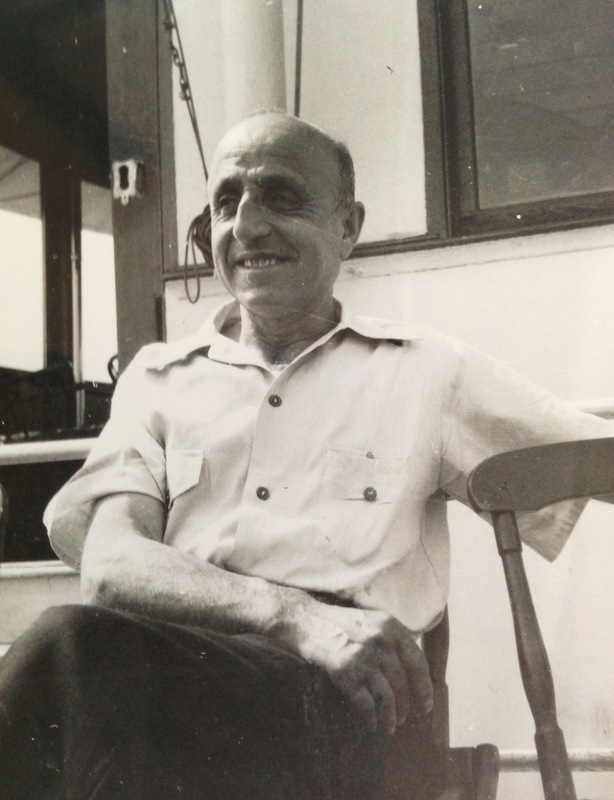 Two months ago I wrote a summary of my perspective on the descendants of Jacob and Sarah Jacobs Cohen and their thirteen children, including my great-grandfather Emanuel Cohen. I wrote about the way they managed to create a large network of pawnshops that provided support for the generations to come. 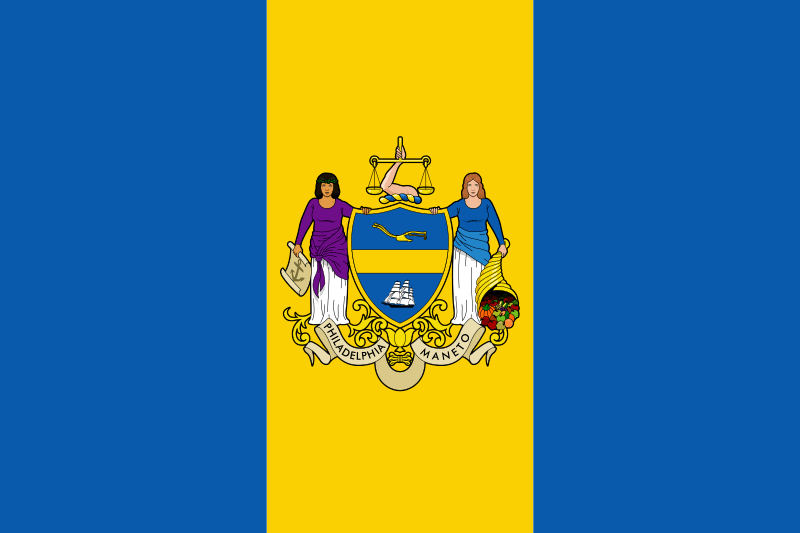 Many of the Philadelphia Cohens stayed in the pawnshop business into the 20th century. The generation that followed, those born in the 20th century, began to move away from the pawn business and from Philadelphia. Descendants began to go to college and to become professionals. Today the great-great-grandchildren of Jacob and Sarah live all over the country and are engaged in many, many different fields. Few of us today can imagine living with twelve siblings over a pawnshop in South Philadelphia. We can’t fathom the idea of losing child after child to diseases that are now controlled by vaccinations and medicine. We take for granted the relative luxurious conditions in which we live today. The story of the Cohen family in Washington is much the same in some ways, different in other ways. Jacob’s brother Moses and his wife Adeline also started out as immigrants in the pawnshop business , first in Baltimore and then Washington. But unlike Jacob who lived to see his children become adults, Moses Cohen died at age 40 when his younger children were still under ten years old. Adeline was left to raise those young children on her own as she had likely raised her first born son, Moses Himmel Cohen, on her own until she married Moses Cohen, Sr. When I look at what those children accomplished and what their children then accomplished, I am in awe of what Adeline was able to do. For me, the story of the DC Cohens is primarily the story of Adeline Himmel Cohen for it was she, not Moses, who raised the five children who thrived here in the US. She somehow instilled in those children a drive to overcome the loss of their father, to take risks, to get an education, and to make a living. Her son Moses, Jr., an immigrant himself, had nine children; his son, Myer, became a lawyer. To me it is quite remarkable that a first generation American, the son of a Jewish immigrant, was able to go to law school in the late 19th century. Myer himself went on to raise a large family, including two sons who became doctors and one who became a high ranking official at the United Nations in its early years after World War II. Moses, Jr.’s other children also lived comfortable lives, working in their own businesses and raising families. These were first generation Americans who truly worked to find the American dream. Adeline and Moses, Sr.’s other three children who survived to adulthood, Hart, JM, and Rachel Cohen, all took a big risk and moved, for varying periods of time, to Sioux City, Iowa. Even their mother Adeline lived out on the prairie for some years. JM stayed out west, eventually moving to Kansas City; he was able to send his two daughters to college, again something that struck me as remarkable for those times. His grandchildren were very successful professionally. 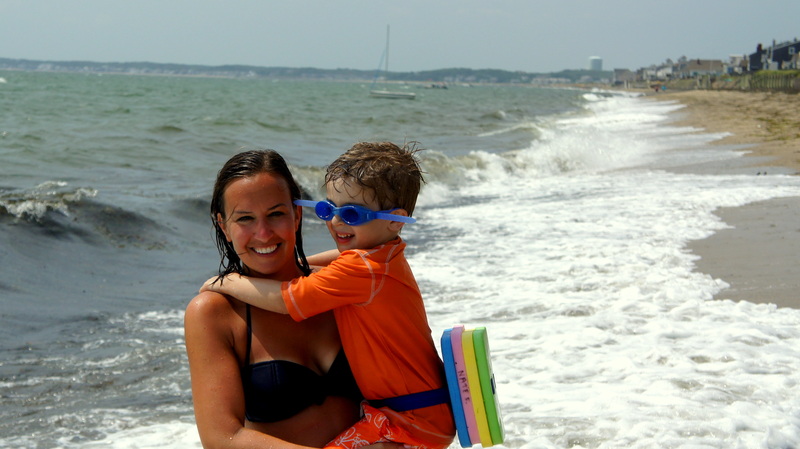 Hart, who lost a son to an awful accident, had a more challenging life. His sister Rachel also had some heartbreak—losing one young child and a granddaughter Adelyn, but she had two grandsons who both appear to have been successful. Three of the DC Cohen women married three Selinger brothers or cousins. Their children included doctors, a popular singer, and a daughter who returned to England several generations after her ancestors had left. The family tree gets quite convoluted when I try to sort out how their descendants are related, both as Cohens and as Selingers. There were a number of heart-breaking stories to tell about the lives of some of these people, but overall like the Philadelphia Cohens, these were people who endured and survived and generally succeeded in having a good life, at least as far as I can tell. 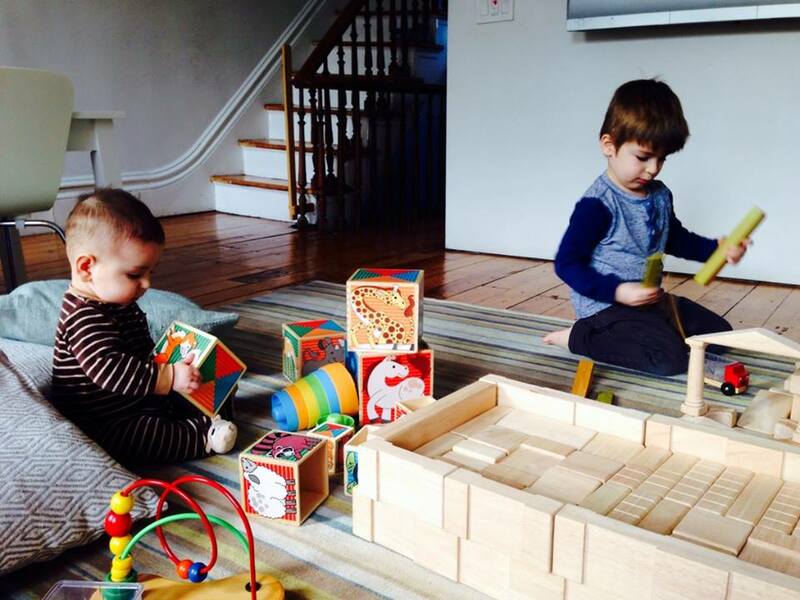 The DC Cohens, like the Philadelphia Cohens, have descendants living all over the United States and elsewhere and are working in many professions and careers of all types. Looking back now at the story of all the Cohens, all the descendants of Hart Levy Cohen and Rachel Jacobs, I feel immense respect for my great-great-great grandparents. They left Amsterdam for England, presumably for better economic opportunities than Amsterdam offered at that time. In England Hart established himself as a merchant, but perhaps being a Dutch Jew in London was not easy, and so all five of Hart and Rachel’s children came to the US, Lewis, Moses, Jacob, Elizabeth, and Jonas, again presumably for even better opportunities than London had offered them. Eventually Hart himself came to the US, uprooting himself for a second time to cross the Atlantic as a man already in his seventies so that he could be with his children and his grandchildren. Rachel unfortunately did not survive to make that last move. Arriving in the US by 1850 in that early wave of Jewish immigration gave my Cohen ancestors a leg up over the Jewish immigrants who arrived thirty to sixty years later, like my Brotman, Goldschlager, and Rosenzweig ancestors. Of course, the Cohens had the advantage of already speaking English, unlike my Yiddish speaking relatives on my mother’s side. They also had the advantage of arriving at a time when there wre fewer overall immigrants, Jewish immigrants in particular and thus faced less general hostility than the masses of Jewish, Italian, and other immigrants who arrived in the 1890s and early 20th century. 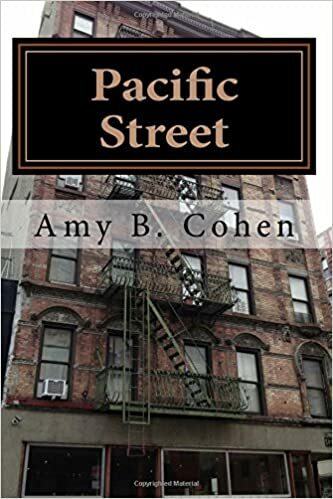 Also, my Cohen relatives may not have been wealthy when they arrived, but Hart and his children already had experience as merchants and were able to establish their own businesses fairly quickly. Thus, by the time my mother’s ancestors started arriving and settling in the Lower East Side of NYC or in East Harlem, working in sweatshops and struggling to make ends meet, my father’s ancestors were solidly in the middle and upper classes in Philadelphia, Washington, Sioux City, Kansas City, Detroit, and Baltimore. When I look at these stories together, I see the story of Jewish immigration in America. I see a first wave of Jews, speaking English, looking American, and living comfortably, facing a second wave who spoke Yiddish, looked old-fashioned, and lived in poverty. No wonder there was some tension between the two groups. No wonder they established different synagogues, different communities, different traditions. A recent study suggests that all Ashkenazi Jews were descended from a small group of about 350 ancestors. We all must share some DNA to some extent. We are really all one family. But we have always divided ourselves and defined our subgroups differently—Orthodox, Conservative, Reform; Galitizianer or Litvak; Sephardic or Ashkenazi; Israeli or American; so on and so forth. We really cannot afford to do that in today’s world; we never really could. Today very few of us make distinctions based on whether our ancestors came in 1850 or 1900 because we are all a mix of both and because we have blurred the economic and cultural distinctions that once were so obvious. But we still have a long way to go to eradicate the divisions among us and to overcome the prejudices that continue to exist regarding those who are different, whether Jewish or non-Jewish.